Spotify, the popular digital music streaming service, is using Rise Vision in their New York and Stockholm campuses. They use office digital signage as a way to share news and information with their employees around their office. Their displays are all configured to run Google Slides, which they use to build the content, and they stream these through the Web page or HTML widget. They find that by using Google Slides, they can grant certain teams access to edit specific Presentations. This allows each to easily edit and customize the content that shows on their screen. All they have to do is update the Google Slides every time they want to make a change and that change will show up on the display within a few seconds. Check out this post in our Community for more information on using Google Slides with Rise Vision. Digital Signage is a great way to spread news around the office. 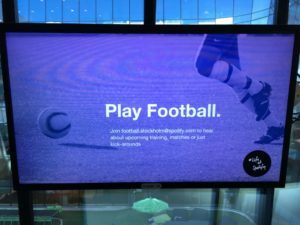 Spotify uses their digital signage to announce all kinds of social events in the office, from after work socials, concerts, discounts in bars nearby, announcements regarding football games, Swedish lessons, among others. Spotify is powering 30 displays across their two campuses and they have no issues to report. They love how easy digital signage makes spreading the word around the office. Although it’s hard to beat in-person interactions, the landscape of company communications is quickly changing. Today, employees all over the world communicate using internal messaging platforms (like HipChat or Slack), email, social media, and even digital signage. 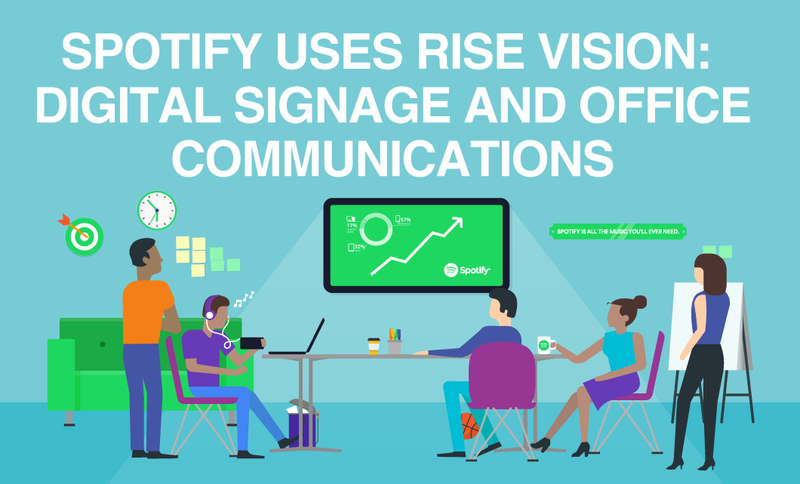 It’s no surprise a company like Spotify has adopted digital signage as a part of their company communication strategy. 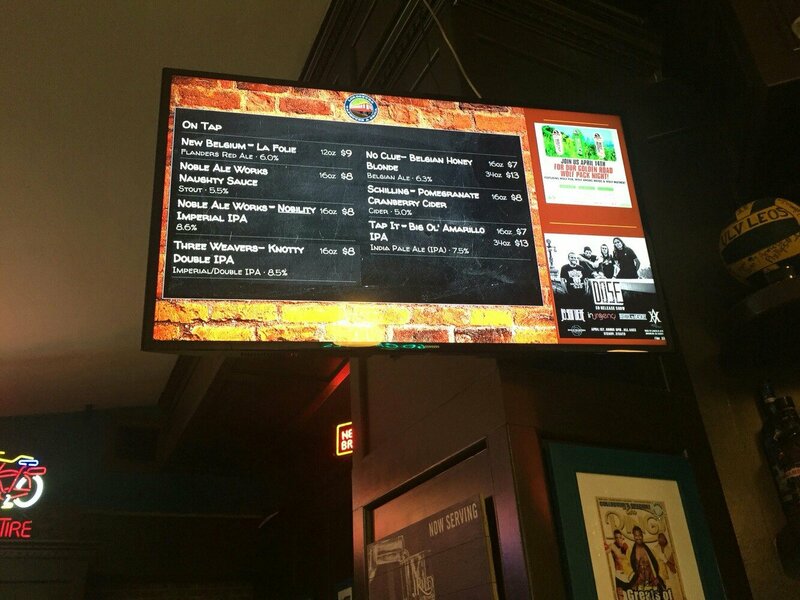 Digital signage, when used strategically, can be an incredibly powerful tool. 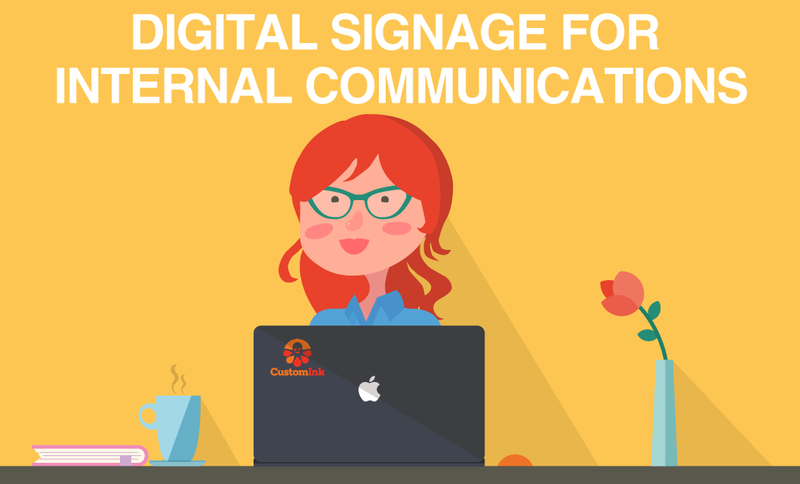 Here are some of the top reasons companies of all sizes and industries are quickly adopting digital signage for their internal communications plans. Instead of preaching that you have an open and inclusive company culture, show it! You can set up displays that show company targets and real-time progress. This makes sure everyone is on the same page and the information is not stored away in a file that is rarely seen. Openly sharing important information across all teams helps boost transparency and increases motivation to work towards goals as a team. Make sure nobody feels left out or misses an event by posting event schedules and details well in advance. This way nobody has an excuse to miss gatherings and a chance to further bond with the team. While employees probably have their favorite industry websites and blogs they frequent on their own, make sure everyone is up to date with industry news and developments by featuring it on your digital signage. You can display RSS news feeds, Google Trends, etc. to make sure your employees have access to real-time updates on what’s most relevant in the industry. 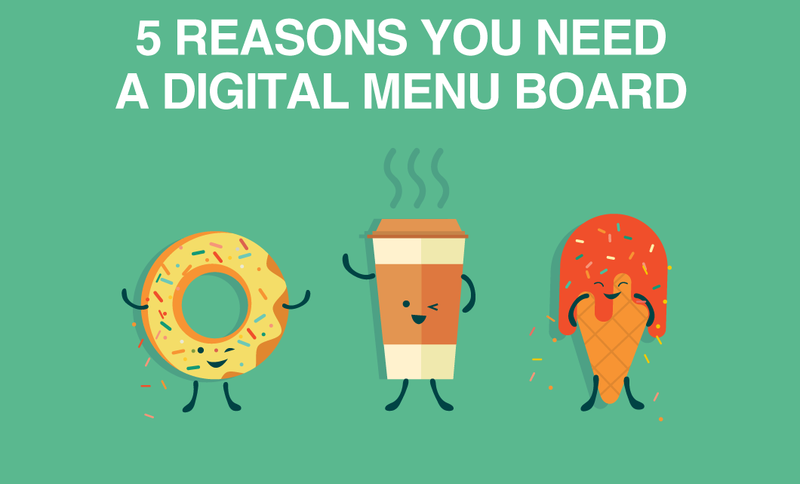 In the past, digital signage was used as a tool for management to communicate their information to subordinates. Things have changed, and now digital signage is incredible in encouraging two-way communication within teams. Whether you feature your social media on your screens and encourage employees to share content, create a private Facebook group or Instagram account to post funny pictures from gatherings, or use your digital signage to create internal polls and share the results, the uses are endless and easy to set up! Improve employee recognition by featuring top performers, new hires, birthdays, and special milestones of your team members on your displays. This is a great way to build a sense of community and make employees feel special while sharing content that the whole company can see. 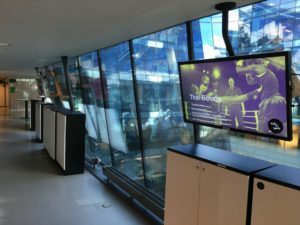 Companies like Spotify recognize that digital signage is a powerful way to reach employees, reinforce culture and values, create awareness around events and ensure your team has a pulse in the industry. 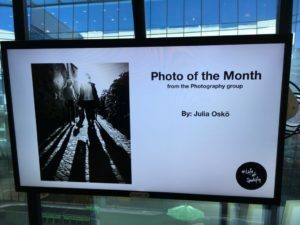 We hope this post has given you some inspiration in case you were still considering digital signage for your business. We’d love to hear how you’re using digital signage in your office, so leave a comment below. Contact us at sales@risevision.com and we’ll help you get started!